Photo source: User TimYang.net on flickr. As a product marketer, you need to generate awareness of your products. Of the many tools in your tool chest, social media has emerged as an effective swiss army knife. While some have found success driving leads and opportunities via social, I’ve been using it to generate awareness. I’ve found paid social ads to be a necessary complement to my “organic” (non-paid) social marketing. Let’s consider five reasons to run paid social ads for your product. 1) Our short attention spans are getting shorter. Across television, the web and print; across devices mounted on walls and in our palms, we’re inundated with more media than ever. How can we pay attention to any one thing? 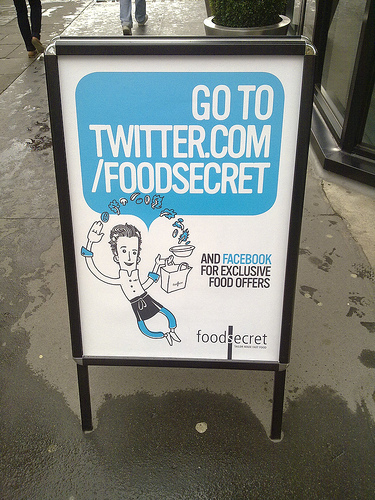 It’s hard and social media adds more food to the media buffet. Paid social ads can provide you with a small boost of attention (with your target buyer). 2) Your posts on social media are bound to be missed. Let’s face it: unless your product is sold to social media managers, your target audience is not on social media all day long. In addition, social media is breaking news, real-time information, here, now. I like to say that if happened yesterday on social media, it didn’t happen. Paid social ads help combat this. 3) Gets you past social gatekeepers. You spend years building up the Likes on your Facebook Page. Now, you pay for Promoted Posts to reach your own fans? Yes, that doesn’t seem quite right to me. But I’m a pragmatist. “It is what it is” and you know what? It works. Spend $10-$15 and get more awareness to your own followers (Likes). You’ll also reach people outside of your network and have the potential to generate new Likes (of the post), shares and Likes (of your page). 4) Extends the life of your social posts. So you wrote an awesome case study, then crafted a creative tweet to promote it. Chances are 95% of your followers didn’t see the tweet. And of those who missed it, another 95% will never, ever see it (the other 5% may see it because you included a hash tag that they follow). With paid social ads, you can set a budget and your ads (posts) will be promoted until the budget runs dry. If social media posts suffer from radioactive decay, then social ads double your half-life. 5) New targeting options available. Twitter recently launched keyword targeting for Twitter Ads. Now, you can target your Twitter ads to users who engage with certain keywords in their timeline or in search. Let’s say you tweeted about your daily special at your hot dog stand. You can now promote that tweet via these keywords: hot dog, ketchup, mustard, frankfurter, relish. 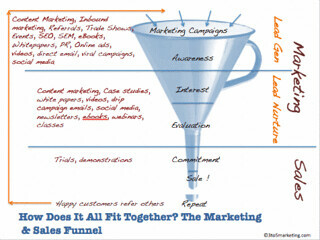 The targeting can help not only with awareness, but also in driving conversions (leads). The fun thing about social media is the fast pace of change. And while I’ve focused on Facebook and Twitter ads in this post, I’m sure new advertising options will emerge. In addition, there are existing options to explore, such as LinkedIn Ads. So experiment, measure and adjust. And have fun! It’s 2013. Do you know where your customers are? I can tell you one thing: they’re more elusive than ever before. They don’t open your emails. They don’t answer your phone calls. They ignore your marketing. They’re in complete control and they’ll only engage with you when they’re ready. As a marketer, you simply come along for the ride. If you’re lucky. It’s a trend that began with the web, intensified with search engines and was compounded with the rise of blogs and social media. Buyers researching a product purchase have a wealth of tools at their disposal. Your web site, your product literature, your marketing? They’ll get to that last, if at all. Let’s consider typical steps made during phases of the buying cycle. As you can see above, the buyer is saying, “Don’t call me, I’ll call you. When I’m ready.” In the past, marketers controlled the buying process: the messaging, the timing, the delivery. Today, control has been ceded to buyers. Because they research on their schedule, the marketing model has inverted: the outbound world has shifted completely to inbound. Your job, as a marketer, is to leave breadcrumbs that forge a trail to your web site, landing pages or social channels. Now don’t get me wrong: traditional elements of product marketing are still very important: messaging, positioning, content marketing, social media, product collateral, etc. But given how empowered today’s buyer has become, product marketers need to go beyond traditional product marketing to help facilitate the sale. Let’s consider ways to do this. I see iPad commercials on TV and I wonder whether Apple really needs to be advertise there. The iPad, like Girl Scout cookies, is a product that sells itself. You buy an iPad, you love it – and in fact, your use of the product becomes ingrained into your daily life. You buy one for each child, then you buy one for your parents to share. Then, the iPad Mini comes out and you buy one of those, just because. Note: this is a hypothetical example and does not reflect my own household. Great products market and sell themselves. So the more time you spend on building a great product, the less time you’ll need to market it. Use Content Marketing to Build Thought Leadership. Remember how I started this post asking if you knew where your customers are? If you produce great content, they’ll come finding you. The great content, however, should not be “marketing content.” Don’t market your product. Instead, market your knowledge and your industry. In addition, provide resources that enable your prospects and customers to do their job more effectively. The best example I can give is the marketing automation space, in which Marketo, Eloqua and HubSpot (among others) provide a seemingly endless collection of valuable marketing resources. If I downloaded every content asset from these three vendors, I could read them (continuously) well past retirement. As you can see by the depth and breadth of the content on these pages, content marketing can be a full-time job. And it also includes a heavy dose of blogging. If you ask Marketo, Eloqua or Hubspot, however, I’m sure they’ll tell you that the investment in content marketing (and thought leadership) is worth it. In fact, they’ll probably tell you they wouldn’t be where they are without it. Host an Online Community for Customers and Prospects. We’re seeing a Yelp-ification in B2B purchasing decisions. Let me explain. When I’m considering a meal at a new restaurant, the first thing I’ll do is visit it’s Yelp page to read what Yelpers had to say about the food and service. I’ll consider the number of reviews, the number of “stars” and skim through the comments from reviewers. Now, consider a B2B purchase. During the research or consideration phases, buyers are bound to search for the product (or company name) in a search engine. What are they likely to find on Page 1 of the search results? Forums and online communities (like Yelp) in which customers are “talking about” the product. It’s unavoidable that users will write about your service (online). One measure of control (at your disposal) is for you to host and facilitate these conversations. Companies such as DNN, Jive, Lithium and Get Satisfaction provide solutions that enable you to create and host your own online community. Be careful, however. Don’t think that you’re now “in control” or that you can use this community to deploy your marketing messages. Your role is the “steward.” You’re there to facilitate conversation and be a secondary participant in them (when needed). Allow your biggest fans to market your product (on your behalf) and provide insights to prospective customers who are looking for solutions. Online communities are a great resource for the buyer – and at the same time, they provide you (the marketer) with a great listening tool into the hearts and minds of your end users. In other words, you can gain insights to improve your product. Invite Customers to Market Your Product. This post is all about doing product marketing without marketing your product. But that doesn’t mean your customers can’t market your product! Prospective customers may not believe a word you say (or write), but they will believe your customers. After all, your customers are quite often their industry peers. Allow Prospects to Experience the Product. Photo source: Robert Gaal on flickr. I mentioned the iPad earlier and how great products sell themselves. Marketers can facilitate this “self selling” by putting the product directly in the hands of prospects. Apple does this via Apple Stores, in which 80+% of the store real estate is allocated towards hands-on use of Apple products. If your product is delivered via the web, consider allowing prospects to register for a free trial. The free trial becomes a form of “experience-based lead generation,” in which your sales reps call on prospects who have already experienced the product. Some miscellaneous tips for product marketing in 2013. Before long, no one will consume your marketing content on desktop or laptops. They’ll consume instead on tablets, smartphones and whatever else is in store down the road. Have your web designers format your product content for mobile first, then work from there to support devices with more screen real estate. If I had to choose one over the other, I’d rather have a web site that looks great on mobile vs. one that looks great on a laptop. Enable social sharing on all content. How to do product marketing without the marketing? Let your customers and prospects do it for you. Web pages, videos, blog postings, etc. should all contain Tweet buttons, Like/Recommend buttons, “Pin it” buttons, you name it. And don’t forget your PDF-based product collateral – embed sharing links within the PDF, too. Take the money you might spend on a glitzy product launch and re-invest it back into the product (e.g. R&D, additional developers, etc.). Product launch events can be done quite affordably online (or even in social media). Better yet, make your new product available to everyone (for free) and allow customer usage to help shape and define the launch itself. Enable customers to talk about how you solved their challenges. Related to “customers marketing your product,” stick to the thought leadership approach, rather than the “product endorsement” approach. Instead of having customers go into detail on how they used your product, let them tell a story. The story begins with their business challenge and ends with the wonderful solution (enabled by your product, of course). In 2013, your product marketing must adapt to a fundamental shift that has taken place (and will continue to evolve): the power and control of the purchaser. While you’ll need to continue traditional product marketing practices – more than ever, you now need to market your product without marketing your product. Today, your role is more facilitator and steward than it is marketer. You’ll no longer market your way to a product sale, you’ll now facilitate the process that leads to it. Image source: TechTarget, in a presentation delivered at the TechTarget Online ROI Summit. Demand generation is evolving. In the days of old, marketers focused primarily on “getting the lead,” whether it was via a banner ad, white paper listing or search ad. And while getting the lead is a critical piece of demand generation, leads become worthless if they’re not qualified well and passed on to the right individuals in your organization. Where leads are in the buying cycle. What purchasing authority they have. Who is the best individual to engage with them, and how. In my book, “Generate Sales Leads With Virtual Events,” I called this “accelerated lead generation.” That is, marketers generate and qualify leads in the same step. At the TechTarget Online ROI Summit in San Francisco, Justin Hoskins introduced a concept called Activity Intelligence™. By adding this service to demand generation campaigns, TechTarget not only generates leads for advertisers, but provides them with a wealth of insights on those leads, in the form of this activity intelligence. Let’s take a further look. It seems elementary, but all too often, demand generation campaigns do not group leads from the same company together. As a result, a sales rep may call on the same company multiple times. Or, multiple sales reps place calls into the same company at the same time. Yikes! With dashboards provided in Activity Intelligence™, I see that Sandra, Joe, Peter and Barry are from the same company. They may all be on the same team, or they may be in different teams, but at least I get a holistic view, allowing me to plan offers and follow-up activities strategically. Next, there’s the concept of “undiscovered contacts.” These are people from the same company – they didn’t view your content, but they looked at similar content. Activity Intelligence™ won’t provide you with the identity of these contacts, but it’ll tell you how active they are in topics related to your content. Now, you know that there are other influencers in the prospects’ organization. This is useful, as it indicates an active need. And active needs provide you with better leads (rhyme intended). Your competitors’ content (in aggregate). If your competitors’ mindshare is higher than your’s and your prospects are not returning phone calls from Sales, perhaps they’re closing in on a decision with your competitor. And while that’s not a great result, the intelligence provided can help guide you. Perhaps you have your Sales team focus on more qualified prospects. Or, you re-orient your marketing content to focus on competitive assessments or special offers. Reporting: provide sponsor reports oriented around holistic account views. Undiscovered contacts: let sponsors know that “undiscovered contacts” attended the virtual event and provide a measure of their activity within the event. TechTarget’s Activity Intelligence™ is powering an evolution in demand generation: the convergence of lead generation and lead qualification. The closer you can bring the two steps together, the better chance you have on turning leads into opportunities and opportunities into bookings. For the digital events industry, we need to be thinking about how we can bring “activity intelligence concepts” into our events, to the benefit of sponsors’ demand generation campaigns. Disclosure: I was formerly employed by TechTarget. TechTarget’s presentation on Activity Intelligence™.